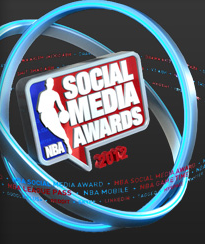 Later tonight, the NBA will host inaugural Social Media Awards, an event that will surely make ripples both online and off. It’s clear the NBA recognizes the value of the digital chatter surrounding its brand, its players and its games. Many of the award categories – “The EPIC Award” and “The LOL Award” are just two of them – capitalize on social media memes and lingo. The NBA is right to highlight its fans this way; these awards are a sports industry first. However, there’s a lot more that could be done. Check out the full post on the LoSasso Blog. Late last week, I accepted a job as the Director of Digital Strategy at LoSasso Integrated Marketing. I started today. It’s a chance to flex my digital muscles. My professional roles have been primarily within the social media space – although I did tap into other expertise, such as content development, SEO and SEM. At LoSasso, I’ll have a chance to extend outside of the social media realm in a much more formal, strategic capacity. The work. I’ve worked in the news business, a large agency with many B2C clients, a large corporation and a start-up. LoSasso’s clients will present a new challenge for me: many are in the B2B and the manufacturing space. I’ll not only sharpen my B2B marketing skillset, but will also extend my B2C experience as well. The company. The LoSasso crew is not only highly skilled, but provides an elite level of client attention and service. More great things are on the horizon for LoSasso, so stay tuned! The dust has settled from SXSW Interactive, where the biggest story, arguably was that of the Homeless Hotspots. I’ve thought long and hard about why this just didn’t sit right with me, and I’ve had some public (and private) Twitter and in-person debates about this. From the start, my argument has not been one that compares the Homeless Hotspot participants to infrastructure. Nor do I believe BBH, the agency that created it, was ill-intended in its efforts. In fact, I applaud the organization – and Saneel Radia – for launching a disruptive program that raised real dollars for Austin’s homeless population, and generated awareness for the Austin Resource Center for the Homeless. I do believe, however, that its comparison to the street newspaper model was inaccurate, at best. At worst, it did a disservice to the content and stories contained in the papers themselves. And it just missed the point of street newspapers, perhaps news media in general. The advertising space is constantly evolving. Recently, there has been a lot of talk of how some advertising agencies are beginning to develop products as a way to educate themselves and clients on emerging technologies and trends, and also as marketing vehicles. If the technology is useful and actually makes people’s lives easier, that’s fantastic, but better, more useful technology is not an answer in itself. Rather, technology is a lens through which a greater variety of stories can be better told. Two quick examples: the Gutenberg press isn’t important because it was a tool, but that it allowed stories to be created and shared more quickly. The Digital Revolution isn’t revolutionary because of its tools – although the PC and the Internet are surely marvelous – but because its tools allow stories and information to flow almost instantaneously. 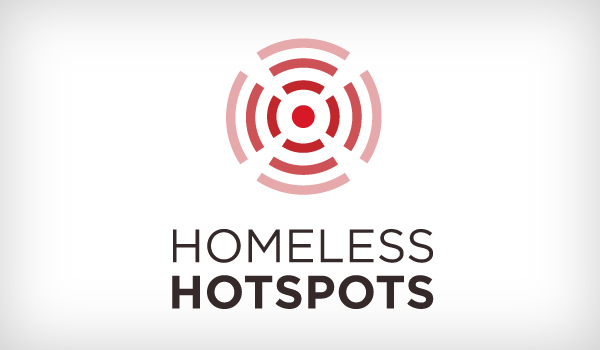 In the case of the Homeless Hotspots, the wi-fi provided drove people to a transaction, in most cases. And this should not be overlooked. When street newspapers are sold, not only are transactions made, but the stories contained therein generate awareness and – more importantly – an action. If one makes a conscious decision to not only support the cause by buying a paper, but takes the time to actually read the stories, they’re ultimately doing more good. Buy a street newspaper. You might be tempted to give your local vendor money, but not take the paper. This assumes, just as the Homeless Hotspots program did, that the content has little to no value. This assumption is just wrong. In many cases, the vendors want you to read their papers. By reading them, not only are you committing some time to their cause, but you’re learning about them as well. And once you’re done reading the paper, you’ll likely share it. Now, I’ve played “Monday Morning Quarterback” on my blog before, but what would I have done differently here? Not much, actually. I’d have worked with the ARCH, and perhaps Good Magazine, to create a Starbucks-like content portal for customers to see upon when they logged in. This way, once the transaction took place, they could dive into – and perhaps share stories of – the Austin homeless experience. That would’ve at least elevated the content, the stories of its participants, to some level of importance. What do you think? Would you have done anything differently? From day one, the3six5 has really been the gift that’s kept on giving. Not only is it a blast to run, but it exposes me to all sorts of fantastic people that are much smarter than me. Scott Meis, a Seattle-based digital strategist — and one of our 2011 writers — wrote up a blog post outlining some of the storytelling lessons we’ve learned along the way. About a month ago, I wrote about my experiences creating single-topic Tumblr blogs. Since I’m a news industry vet, it got me thinking about how news organizations are using Tumblr, and what they’re getting out of it. Dan Schneider, SM producer for the Denver Post, was kind enough to answer my questions for Old Media, New Tricks. Check out Dan’s Q&A here. There are a few “top ten” lists out there of what to do in order to provide great customer service, and they all kind of read the same: listen, make customers feel important, apologize, say “yes” a lot, identify needs, et cetera. As Jerry Seinfeld would say, “yada, yada, yada.” Of course these are all important components, but there’s something missing. Something big, in my opinion, that’s seldom discussed, and worse: seldom practiced. In my role as Social Media Manager for Sears/Kmart electronics, we handled a lot – a LOT – of customer service issues, stemming from a few things (e.g. e-commerce or in-store experiences, missed installation appointments). Through this, I learned that – assuming the processes are in place – issues can be resolved, but just how they get resolved are crucial to keeping your customers happy and coming back. This drives me to my key point: it’s important for brands to understand why customers are complaining, but it’s even MORE important to express empathy and understanding. Thank customers for bringing issues to your attention. Understand and acknowledge just why a customer may be upset about an issue. If they’re made to feel like their complaint is strange, or out of left field, then they won’t be happy. Don’t get me wrong: it’s still important that their underlying complaints are resolved in a sufficient, timely manner. However, a little bit of empathy and understanding will get the customer service process off on the right foot. The more your customers feel like their needs are understood, the easier – and cheaper – it will ultimately be to resolve their issues. What do you think is the most important part of good customer service? Best Use of Digital/Social for a Consumer Technology Campaign (Gold) for the Sears Blue Blogger Crew, which we launched at CES 2011. Best Use of Digital/Social in an Arts/Culture/Entertainment Campaign (Silver) for KmartGamer. We launched KmartGamer in 2010 as a low-rent way of connecting with core gamers, and we expanded our efforts into a blog launch, efforts at the E3 convention and much more. Once again, thanks to everyone who was associated with getting these efforts off the ground, including Ryan Manning, Andy Flynn, Philip Nowak, Scott Murphy, our crew at Euro PR (Kelly Kaufman + Rory Swikle), and Josh Deane with KmartGamer. For a full list of Bulldog Award winners, click here. It was timely, but overwhelmingly negative. Rubbing salt in an open wound is not the way to win over new customers, period, especially angry Bostonians. Welker isn’t the only player to blame for the loss; Tom Brady and the Pats only scored seven second-half points. Not to mention there were a few other dropped passes. Here’s the thing: I actually like the idea, which came courtesy of 5W Public Relations. 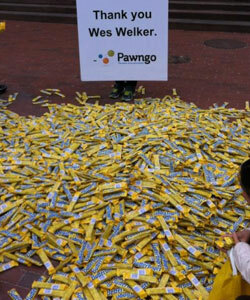 I just would’ve done one thing differently: instead of dropping the Butterfinger bars in Boston, put ’em in New York by the “Canyon of Heroes” during the Giants Super Bowl parade. These changes — especially the latter — can be critical in attracting new followers during what I call the Twitter “discovery” process for brands. This is when users explore the site to see if a certain brand is active on Twitter, and what its profile looks like. (I’ll often just type a brand name into search, or just type “twitter.com/[Brand name here]”.) This can also happen if someone clicks on a Twitter link promoted elsewhere — a brand’s website, for instance — or through a promoted trend. Twitter is a conversation-based platform; turning the brand pages into expanded destinations may be helpful during the “discovery” process. Overall, I think the updates miss the mark for brands a bit, especially when a vast majority of the Twitter experience is stream-based. 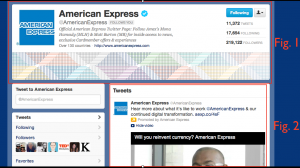 Is the brand listening to the conversation (using a tool like Radian6) and responding accordingly? What is the brand actually doing to get its followers involved and acting on its behalf? Are its posts (and responses) relevant, timely and helpful? When customer service issues happen, are its tweets tied to real actions? This is what it comes down to for me — how about you? 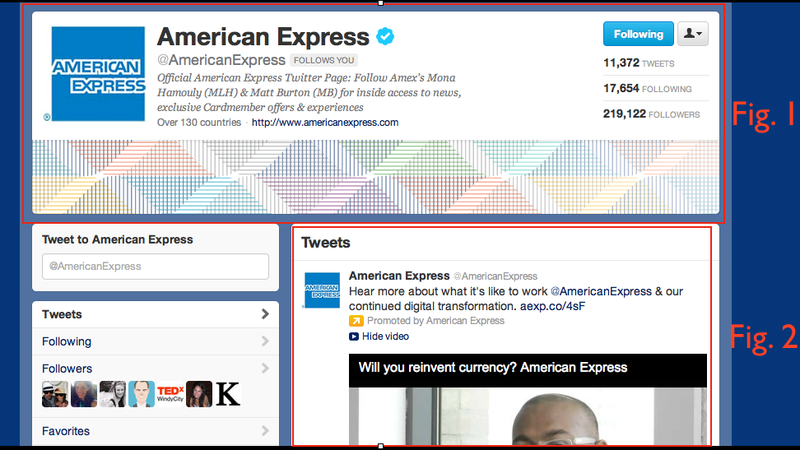 What are your thoughts on Twitter’s brand page updates? Please leave your thoughts as comments below! I learned a few things along the way, the biggest of which is this: if you want to create an instant following think about starting with Tumblr. Now, this following may not necessarily be the most “influential,” (as digital marketers, we all love our influencers) but it will certainly get you noticed, and fast. In fact, the day after my Tumblr blog went live, it was mentioned and linked to in a Wired article. – Once it’s up and running, your Tumblr should be a mix of original, aggregated and community-submitted content.. If it’s aggregated (either a repost or a link), always cite the source. If a reader sent it in, thank them in the body of the post. – Always post photo/video content with a caption. This is really a no-brainer, and it especially holds true if you’re syndicating your posts on Twitter and Facebook. – If you can, find creative ways to translate your topic to other niches (“geek”-type examples include Star Trek, LOLcats) or culturally relevant subjects, objects or people. Your content will spread like wildfire. On day one, my blog started in a vacuum; by the end of the day a few of my posts got 500-plus “notes,” or re-blogs, and in addition to Wired, content from my site was featured in several topic-related roundups around the Web. – Your following will come and go quickly. Before starting my experiment, I thought that any idiot with a Tumblr account could create a LATFH-type blog. Keeping LATFH going for as long as it was took a ton of work; its success can easily be attributed to two things: it was about a topic that everyone related to and felt passionate about. (After all, who doesn’t make fun of hipsters?) The pictures and captions were also damn funny, which kept people reading. Have you created a single-topic Tumblr blog? Please share any additional tips as comments below!